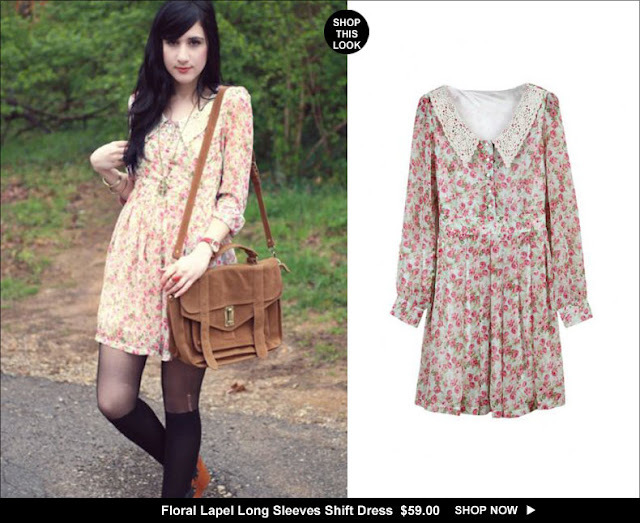 ROMWE - The Latest Street Fashion Online: What an amazing blogger! Nowadays, sweaters, denim shorts, stockings and vintage bags are very popular. They are all used over and over again by Bonnie Barton to present different looks but united harmony style. Still being a student, Bonnie Barton may care more about practical collocation. There is no extravagant accessories all over her body, but she also looks fashionable and comfortable. I am fascinated about the dressing style of Bonnie Barton，concise and tasteable. Colors she chooses are always cold ones with exclusive temperament. That`s awfully good. I love her blog and writing style. Thanks for sharing! And congrats on her previous week`s blog success. Stay warm. I adore Bonnie's style! her blog is amazing, love it. NICE BLOG :D. Follow each other?